This is a now a historic photo of iconic buildings in Lyttelton, New Zealand before the earthquakes in 2010-11 devastated the port of Christchurch. 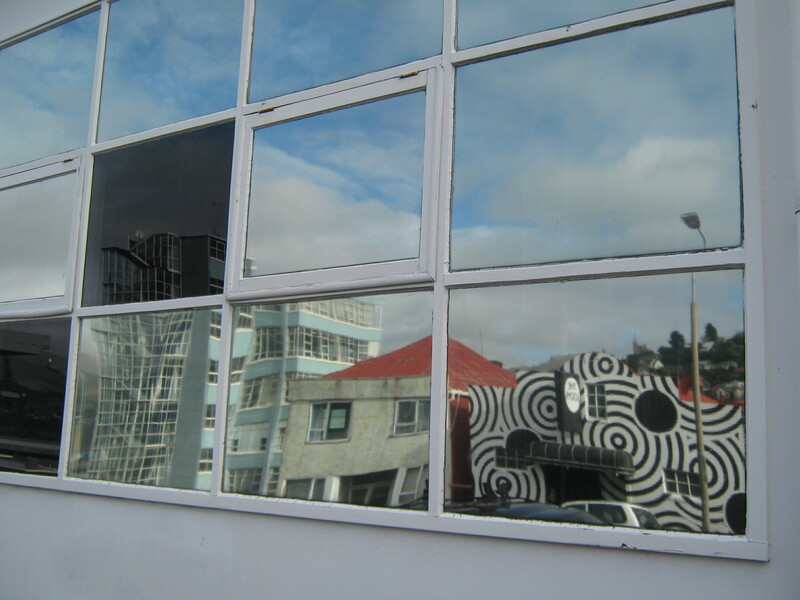 The buildings are reflected in the windows of those opposite. Most of them no longer exist. The zebra-style paint job is on the local theatre, well patronised and unique. I believe it’s in a community trust and being restored. This historic building that signalled noon when the ball dropped was flattened in the earthquakes that devastated Christchurch. All that history and beautiful furniture lost. 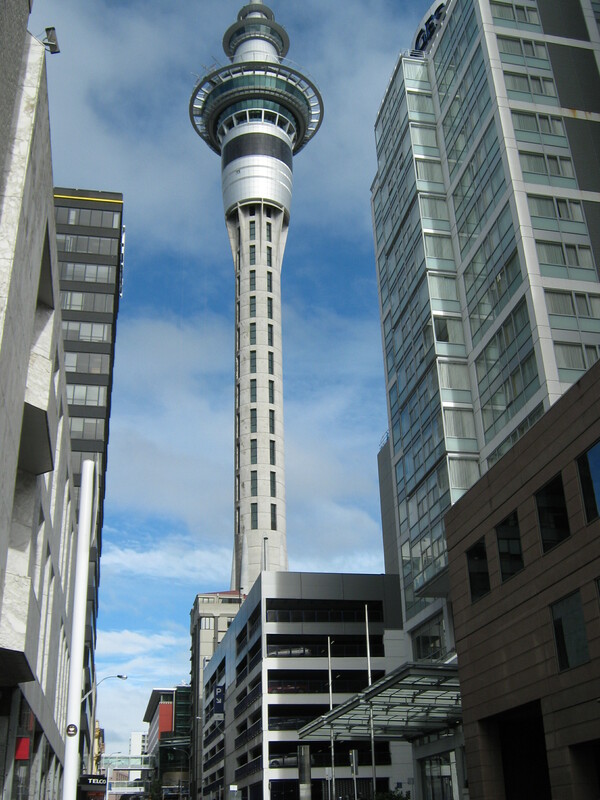 The Sky Tower in Auckland, New Zealand defines the city skyline beside the beautiful Waitemata (Maori meaning sparkling waters) Harbour. 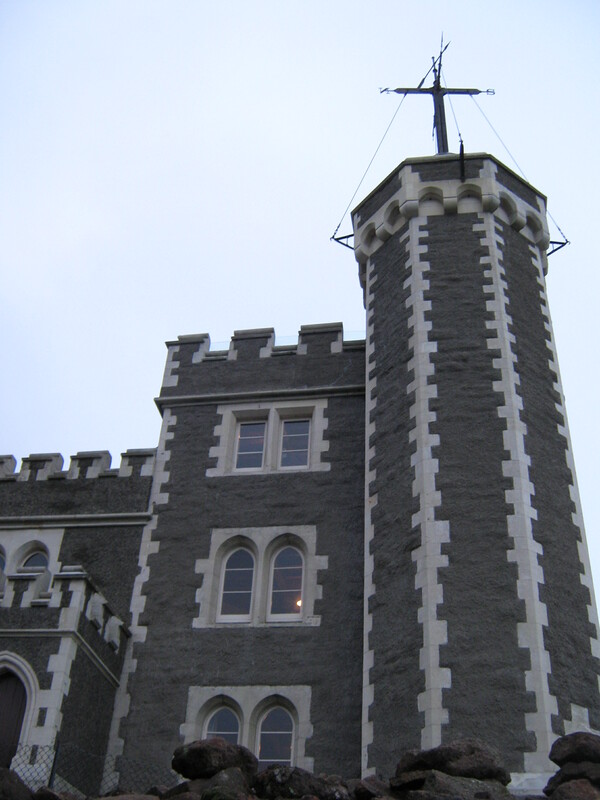 You can bungi jump off the tower if you are fearless – or reckless. Yes, it’s heart-breaking isn’t it? I still do not know how to get notices from you! There must be a follow this blog thing somewhere – because other people are following. i’m really looking forward to getting your expert help in the little things I haven’t discovered how to do. Yes, I do not know all these things, some are misteries to me also.